This presentation will cover the basics of Mind/Body techniques being to autism, primarily Asperger’s Syndrome. The topics that will be covered are eating of proper foods and diet programs for those in the autism spectrum-health and fitness programs and their positive effects on anger management, depression bad sleeping habits and attentiveness. This presentation will cover the rites of passage, developing accountability and responsibility, individual, personal hygiene and other important topics faced by young individuals going through important and crucial life stages. The resource speaker for both seminars is R. Vicente Rubio, Director of Pathfinder Mentoring. He has worked with young people for the last 30 years. He is a 5th degree black belt in aikido, and has practiced other martial arts for over 27 years. 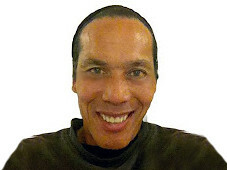 Vicente also has had a long career as a professional dancer in New York City. He received his degree in Dance in 2004 from SUNY Empire State College. He currently designs and teaches alternative PE classes for students with autism, ADHD, LD, and other social, behavioral, and academic challenges in public and private schools. Vicente is working with the Iraq and Afghanistan veterans at Palo Alto Veterans Hospital, California suffering from Post Traumatic Stress Disorder (PTSD). He has mentored young people in private practice since 1990 and is the author of the book, “Mind Body Techniques for Asperger’s Syndrome – Way of the Pathfinder” published by Jessica Kingsley Publishers- May 2008. R.Vicente was diagnosed with Asperger's Syndrome in 2010. For registration and inquiries, pls. text 0915 985 7828 or 0920 824 7636.